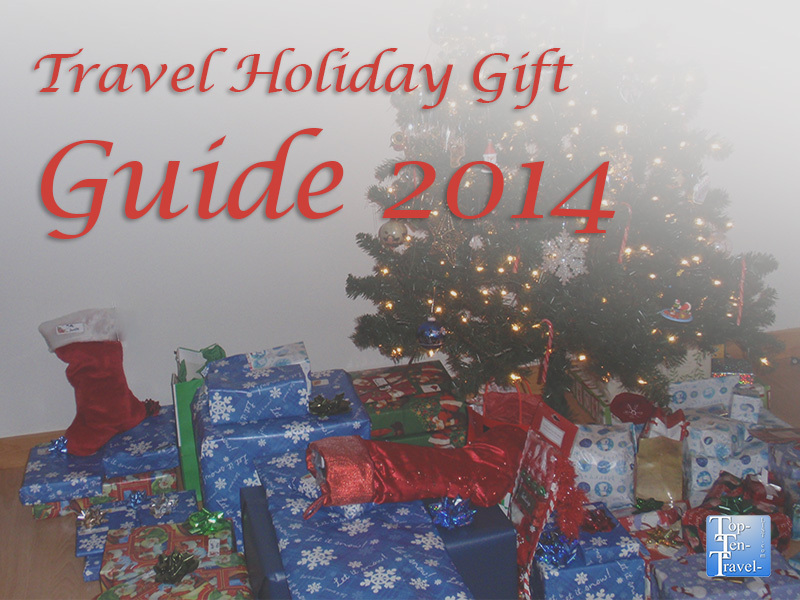 Holiday Gift Ideas for Travelers 2014 - Top Ten Travel Blog | Our experiences traveling throughout the US. With Thanksgiving just around the corner and Christmas less than a month away, now is the time to start thinking of unique gift ideas for everyone on your holiday shopping list. Below, I have listed a few ideas for the travelers in your life. I have organized the gifts by all different types of categories, including: travelers who like to exercise, travelers who are into photography, travel gifts for women, travel gifts for men, and so on. I hope you enjoy the ideas suggested below. Feel free to share some of your favorite gift ideas for travelers in the comments below. The gift suggestions below are perfect for the traveler who doesn’t want to forfeit their fitness routine while traveling! The Garmin Forerunner GPS watch is not the newest model available, however, it is an excellent watch that I always bring with me wherever I go. You can track your pace, distance, and heart rate on this fantastic watch. It has a long battery life (20 hours) and is waterproof, both perfect features for traveling. 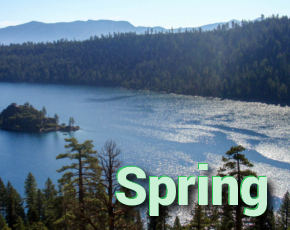 Great to use for vacation bike rides, running, water activities, and more! Every athlete knows that foam rollers are great to use to speed up the workout recovery process. This mini Gaiam Foam Roller is lightweight and small, making it perfect for travel. A Travel Yoga Mat is great for those wishing to keep up their relaxing yoga sessions while on vacation. Don’t touch your germy hotel room floor with your bare feet! Instead bring with this lightweight mat that easily fits into any suitcase, thus allowing you to enjoy the wonderful health benefits of yoga no matter where you travel. An alternative to a mat, Gaiam Yoga Socks are comfortable and give you a good grip no matter where you decide to enjoy your practice. A Travel Resistance Band Set is great for those who want to keep up their weight training routines while away from home. This small set is easy to carry around and enables you to work on many of the same muscles you would at the gym. This Fitbit Wireless Activity Tracker is great for tracking how many steps you take/calories you burn while participating in regular vacation activities. We tend to spend even more time walking around while traveling – visiting different tourist attractions, walks on the beach, bike riding, etc. Surprisingly, it adds up to much more time on your feet than you think! The FitBit is a great way to incorporate in exercise without feeling like you are completing a boring hotel gym workout. Yaktrax Pro Traction Cleats– great for winter running and any other seasonal activity involving snow and ice. These Fila Skeletoes are perfect for any type of outdoor activity. I bring them with on every vacation just in case I feel like taking a jog or hike. They are less bulky, and thus take up much less space than regular gym shoes. A Hydration Backpack is a must for travelers who participate in exhausting full day activities (like hiking and visiting tourist attractions). Instead of purchasing or lugging around multiple water bottles, you can conveniently sip from the backpack all day long. This really is a lifesaver for the exercise enthusiast! A few must haves for any traveling photographers on your list! A Camera Backpack comes in handy when participating in any type of activity where you want to have access to your camera but still keep it safe. Hiking is a great example of an activity where a backpack comes in handy. A Compact Tripod makes a great gift for the traveler who enjoys adventure activities (hiking, mountain climbing, etc.). This lightweight compact model easily fits into a backpack, enabling you to easily take it with on any activity (without lugging around a bulky regular sized model). Tripods are great for crisp, clear landscape photos and are extremely helpful for stabilizing the camera at night when the sensor needs to be exposed to light longer. The Sony Cyber-Shot is an excellent everyday camera. The picture quality is excellent, the design is light and slim, and the waterproof feature is a great added bonus (up to 33 feet). It’s so easy to take on any activity due to the tiny size! I easily slip it into my pants pocket for hikes and bike rides. It’s great for waterfront activities too as you do not have to worry about any water damage! The Nikon D5100 Digital SLR Camera is a great starter camera for the aspiring photographer. It has many easy to use auto settings, but also allows you to manually adjust the settings as your photography skills improve. Nikon cameras are great for starting out and improving because you can use the same lens on different models. For the advanced photographer, the Nikon D7100 Digital SLR is a better option. It has more options, higher megapixels, and better body construction. A few great practical and fun gifts that women who love to travel are sure to enjoy! A Mini hair dryer is a great alternative to using the less than perfect hotel room option. Plus, the bright color and design are great! This fantastic Travel cosmetics bag allows you the opportunity to conveniently sort all your bathroom products by category. There are 10 different see through compartments so you can easily find whatever you are looking for without messing up your entire suitcase! This Travel Smart Travel Bottle Set fits in with airline regulations so there is no need to worry about storing it in your carry on bag. With this handy pack, you can conveniently bring with all your favorite shampoos and lotions without spending extra money on the travel size versions. Every scent in this Estee Lauder Travel Mini Perfume Set is fantastic! The tiny bottle sizes take up next to no room in your cosmetics bag! A perfect Christmas gift for women who like to travel! This attractive Travel Journal is a great gift that will motivate anyone to travel more and record their unique experiences! Travel in style with this adorable Laptop Bag Fashionable and functional at the same time! A cozy Travel pillow and blanket set is idea for long car rides and flights. A quality Sleep Mask like this one from Earth Therapeutics helps you get some quality sleep in – even on long, sunny drives. It is soft and comfortable and does a great job of blocking out all light. The unique and colorful designs of Ever Moda Unique Luggage Sets allow you to easily spot your luggage in the swarm of standard black. A great gift idea for the fashion savvy traveler on your list. These 2 piece sets are expandable and features rolling wheels for easy transport. The Vinturi Travel Aerator is a travel sized version of their excellent full size wine aerator. Enjoy smooth wine wherever you go! This unique Photo Album is a great way to capture memories of all your trips. 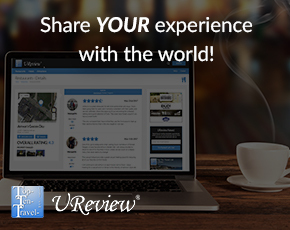 You will have plenty of room to display all your adventures with 200 pictures slots available! Cute and colorful Flip Flop Luggage Tags are the perfect gift for anyone planning an upcoming beach vacation! Not to mention the colorful, unique design of these tags will easily help separate your luggage from the rest!